Aio Wireless, a subsidiary of AT&T, today launched its new, no-contract wireless service in the U.S. The wireless network is first available in Houston, Orlando, and Tampa, and will gradually expand across AT&T's footprint around the U.S. over the course of the next year. Aio offers unlimited talk, text, and data plans that range from $35 to $70 per month to feature phones, smartphones, and tablets. Data speeds will max out at 4Mbps over AT&T's HSPA+ 4G network. In addition to the handsets it sells, Aio will also provide service to people who bring in their own, unlocked devices. One of the first devices offered by Aio is the Nokia Lumia 620 (pictured). 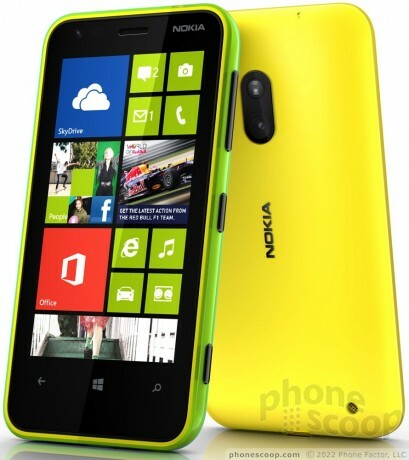 The Lumia 620 is a Windows Phone 8 smartphone that has a 3.8-inch screen, 5-megapixel camera with 720p HD video record, and Nokia-exclusive applications. It costs $179.99 and does not require that customers sign a contract. Aio offers a handful of other smartphones, including the Samsung Galaxy Express for $249.99, the Samsung Galaxy Amp for $99.99, the ZTE Prelude for $49.99, and the Apple iPhone 4/4S for prices ranging between $349.99 for refurbished models to $499.99 for new models. Feature phones offered by Aio include the Samsung Denim for $29.99 and the ZTE Atair for $49.99. Aio hopes to compete with other prepaid brands, such as Sprint's Virgin Mobile and T-Mobile's Ultra Mobile. We spent some time with the new Lumia 620 for Aio, AT&T's new prepaid experiment. This cute little phone has a unique design. Flipboard has overhauled its application for the iOS platform, and the app is chock full of new features. Flipboard 2.0 offers Etsy integration, which means when users perform searches, the app will use the results to create a digital magazine on the fly. Twitter announced on Good Morning America this morning that its new music service will become available to all users on the web beginning today. The service is meant to help Twitter users discover new music and is available online and through a dedicated iPhone application. Microsoft today released Office Mobile for Office 365 subscribers. The software allows iPhone owners to create Microsoft Office Word and Excel documents, as well as open and edit Word, Excel, and PowerPoint documents, but it requires a subscription to Microsoft's Office 365 service.